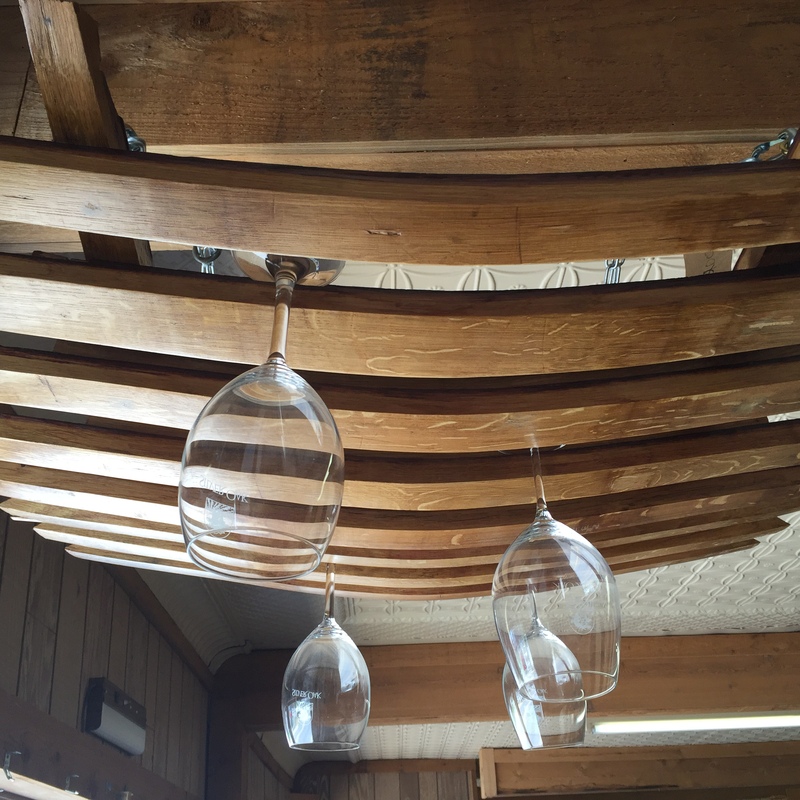 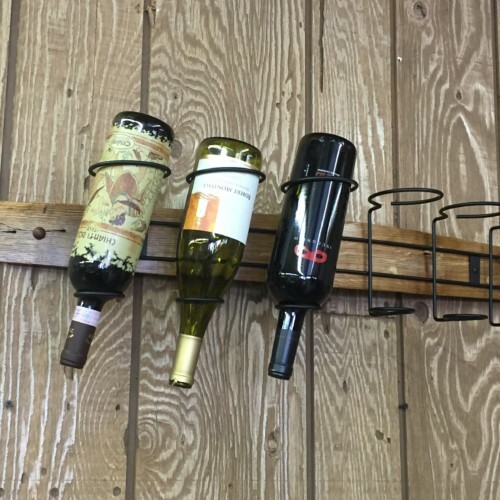 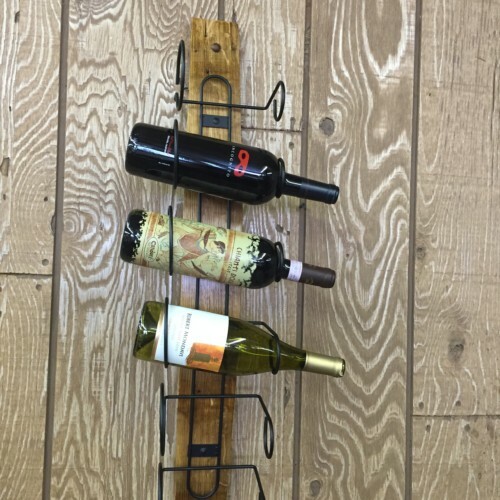 The Barrel Stave Hanging Wine Glass Rack stores up to 70 stems of any size. 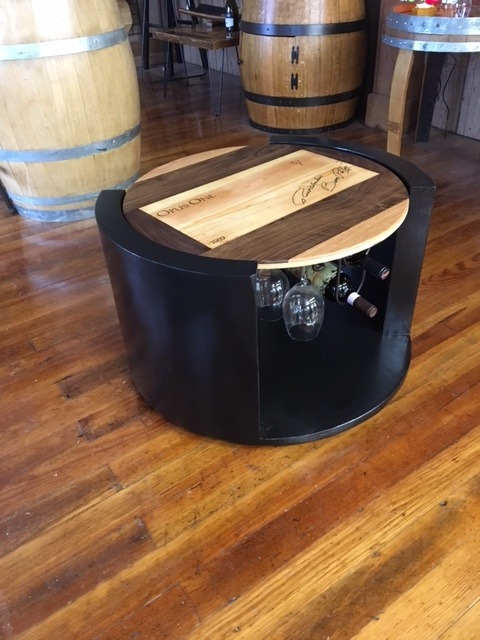 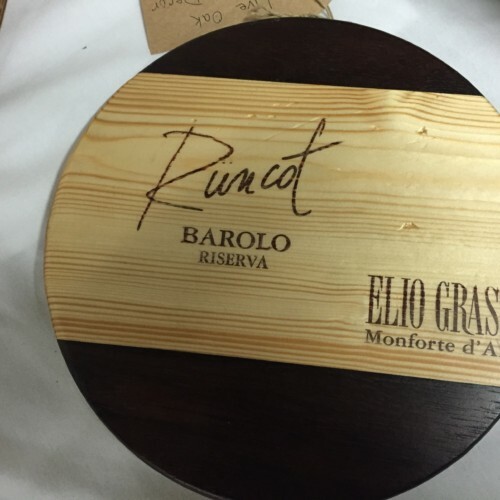 A uniquely beautiful piece with that classic look you want in the cellar, pantry or bar. 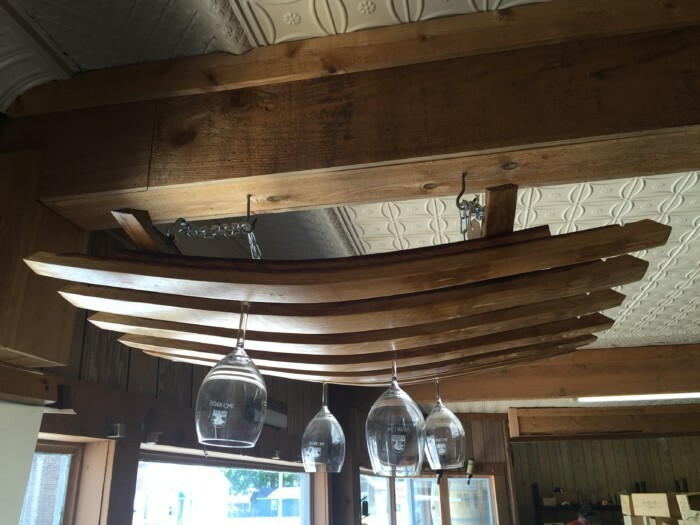 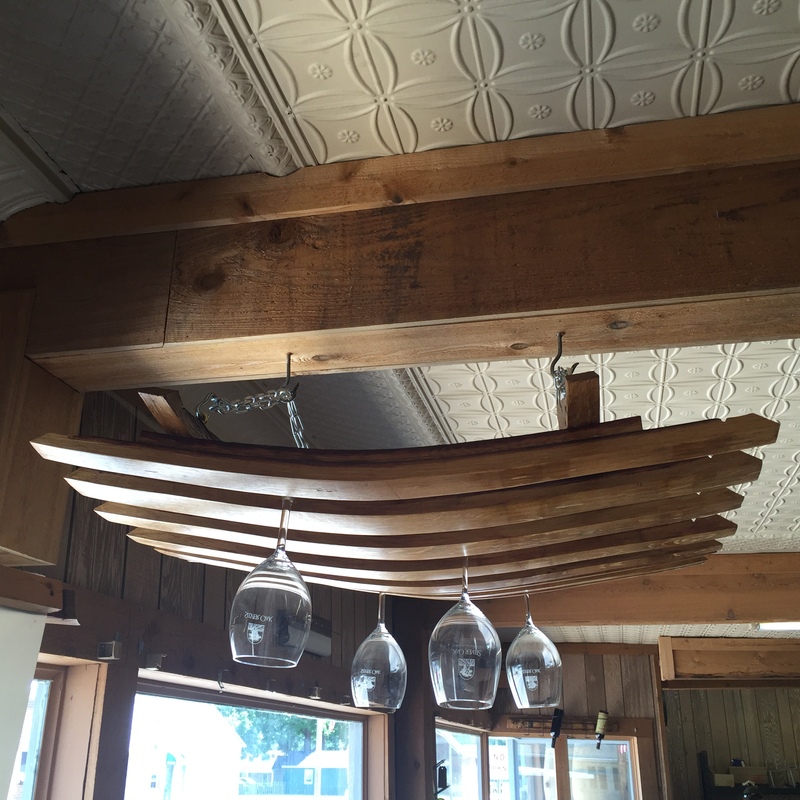 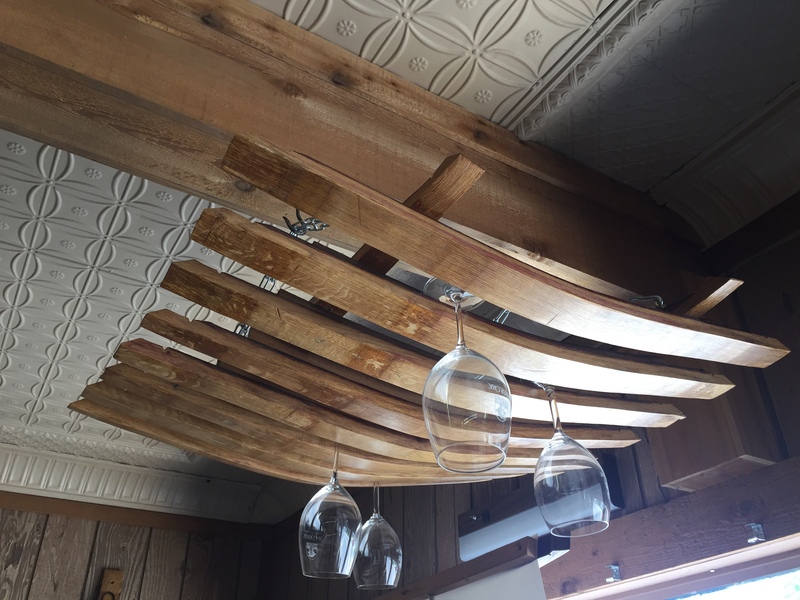 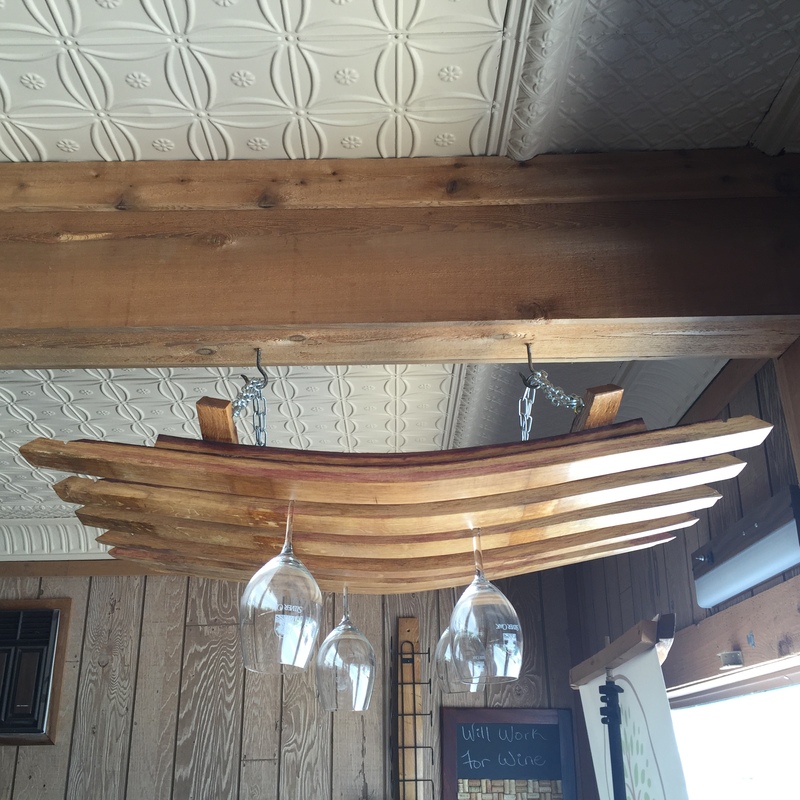 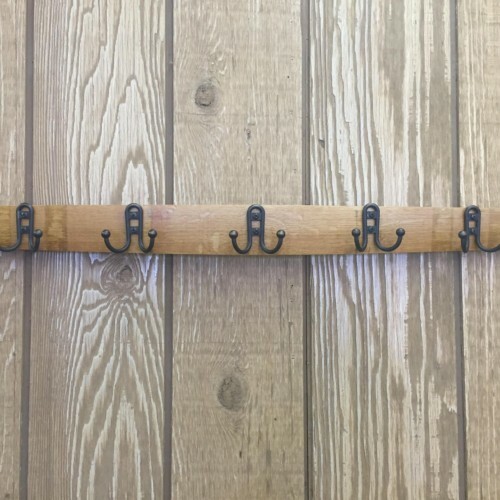 Handcrafted with the staves of genuine oak wine barrels with the red wine color stain of the wine they once stored, it suspends from the ceiling on sturdy chains. 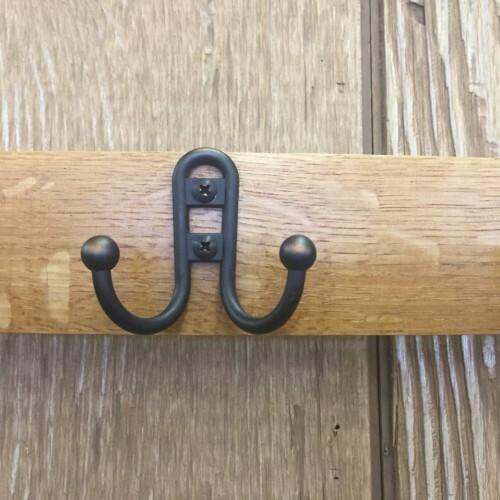 Mounting chain is included.